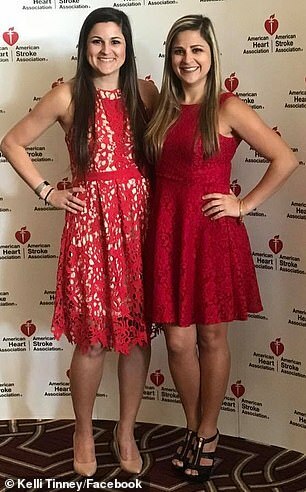 Two sisters suffered heart episodes within a year of each other due to different types of undiagnosed heart disease. Amanda Tinney, 30, from St Bernard Parish, Louisiana, has suffered four heart attacks in the last four years. 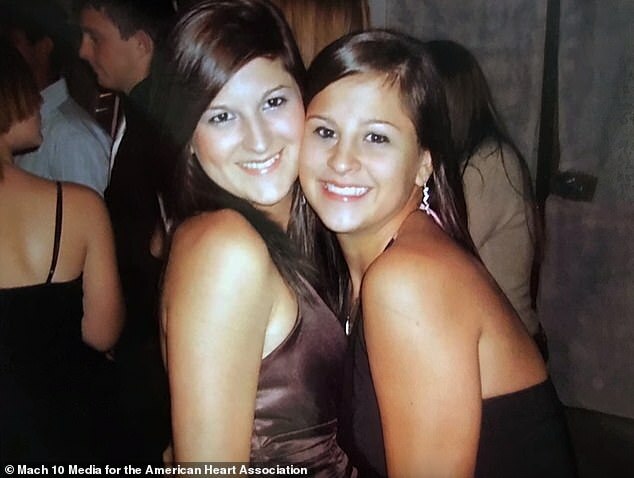 Then her 28-year-old sister Kelli, who was concerned and supporting Amanda, had an episode that closely resembled a heart attack in between Amanda’s incidents. Both learned that they were suffering from cardiovascular diseases that don’t present symptoms and that neither knew they had. Now, the sisters say they want to educate women about heart disease and are urging them to get checked out before it’s too late. Amanda told American Heart Association News she experienced her first heart attack on her 26th birthday in 2014 while she was at work after dropping her seven-year-old son Noah off at school. She was rushed the hospital, where doctors told her she had suffered a heart attack due to a blockage in one of her coronary arteries. Amanda was prescribed a few medications and was allowed to go home. The hotel worker said she didn’t understand how someone who was young, a healthy weight, a non-smoker, who had never done drugs could have a heart attack. Kelli said the night her incident occurred, over Labor Day weekend 2015, she and Amanda had gone to a cousin’s cookout that day before going home and both falling asleep on the couch. The third-grade teacher woke up to a sharp pain in the center of her chest that became worse and she was struggling to breathe. 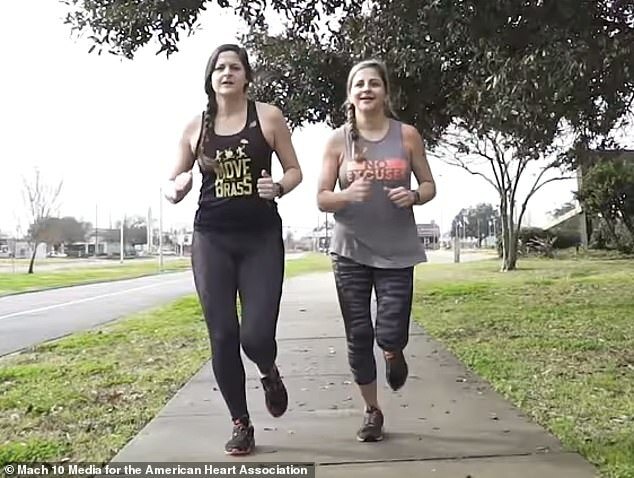 Amanda told American Heart Association News she didn’t think her sister was suffering a heart attack but rusher her to a nearby hospital just in case. It turns out, Kelli had not had a heart attack but she was suffering from myocarditis, which is inflammation of the heart muscle. The condition is most often caused by a viral or bacterial infection, but can also be occur from a reaction to a drug. Symptoms include shortness of breath, chest pain, fatigue and arrhythmias. According to the Mayo Clinic, myocarditis often improves on its own, but in some cases rest and medication are needed. 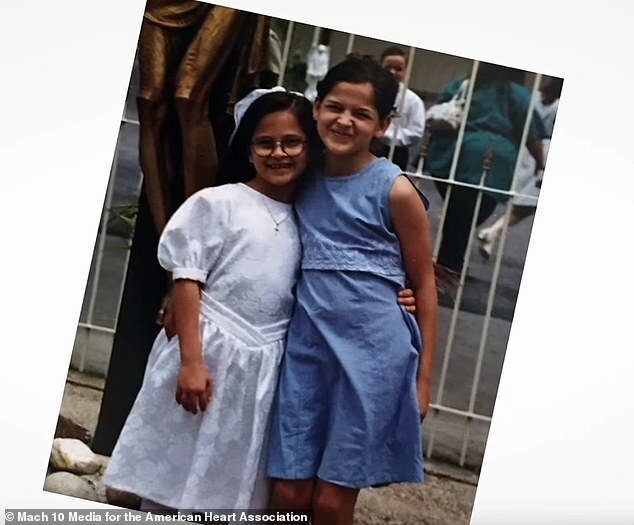 The Tinney sisters say heart disease runs in their family – their mom had a heart attack due to high blood pressure at age forty – but none of their incidents appeared to be connected. In November 2016, just a year after Kelli’s heart attack, Amanda was again at work when she felt the same symptoms she’d felt during her first heart attack including in nausea and chest pain. She ran to the restroom, where she collapsed, and one of her colleagues called 911, reported American Heart Association News. Doctors at the hospital told her that the heart attack wasn’t caused by a blockage at all. Instead, Amanda has myocardial bridge, which is when one of the coronary arteries goes through the heart muscle instead of lying on its surface. It’s thought to be a harmless condition that’s present at birth. However, because there are no symptoms, most people don’t know they have it. According to the American Heart Association News, Amanda was told spasms from her myocardial bridge has caused the heart attack. Although she takes medications to reduce the number of spasms, she’s had two more minor heart attacks – one in early 2017 and one in December 2018. 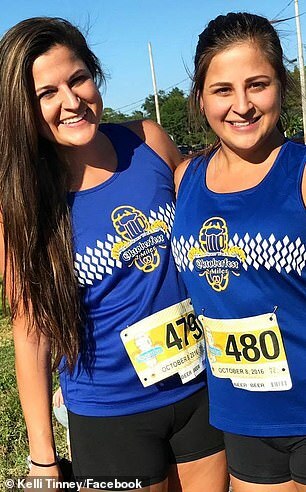 The two sisters, who used to run in high school together, have started running together again and becoming more athletic to reduce the risk of further heart issues. ‘I started on the treadmill, then outside, and then I decided to run races,’ Amanda said. She told NOLA that she currently takes five different pills and monitors her blood pressure twice a day. ‘I feel like I have to take more medicine now than ever in my lifetime,’ she told the website. ‘It makes me feel like I am an 80-year-old person, and that I have aged quickly. Heart disease kills more US women than all cancers combined. One in three women die from heart disease each year. ‘Most young people don’t think anything like this can happen to them,’ Amanda said.